Changing the story for underprivileged kids. There’s a crisis in American education that has been brewing for decades. More and more kids from low-income families are falling through the cracks. It’s a situation that no one denies and yet for the last 40 years the debate about how to solve it has raged on. These kids can’t wait for the bureaucrats and administrators to agree on a universal solution. They need help now. That’s where ACE Scholarships comes in. They provide partial scholarships to low-income kids so they can go to the school that best fits their needs. And their approach is achieving incredible success. 90% of ACE Scholars graduate high school and 78% go on to college. You can’t argue with those numbers. With this kind of success, ACE is poised to expand across the country. But like many organizations and brands on the verge of growth, they needed help crafting their story. 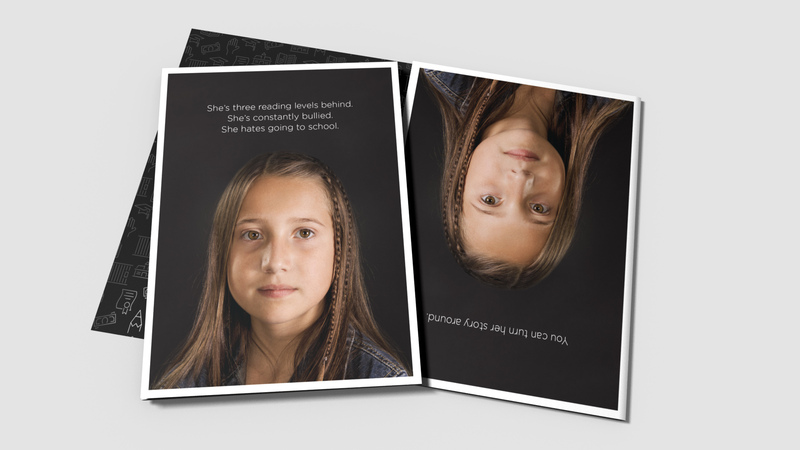 They needed to make their message and brand even more compelling in order to attract a larger donor base. We helped them infuse emotion into their solid facts-based argument. And we also helped them change the way they told their story. 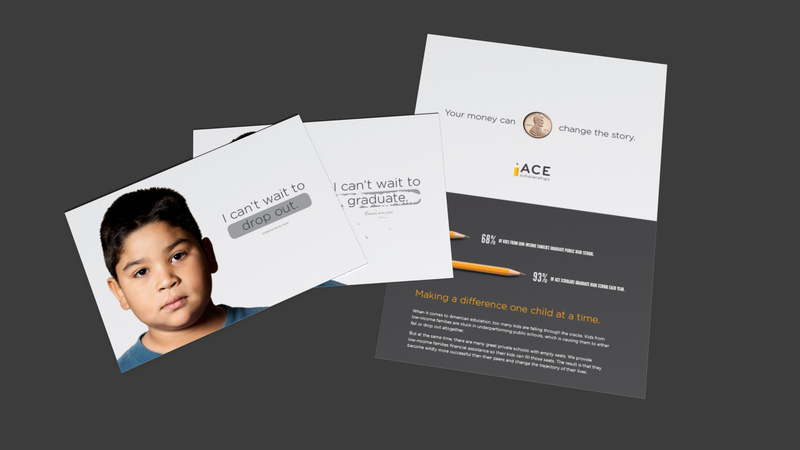 ACE always began by telling people how they do it – with school choice, a politically charged idea that shuts down far too many potential donors. We helped them understand and communicate why they do it. ACE Scholarships exists to help change the story now, for kids from low-income families. This approach makes all the difference. It entices everyone to lean into the conversation to understand more. ACE Scholarships has always had proof of their effect on kids’ lives. Now they have a way to communicate their brand and mission in a way that will attract a much larger set of donors.